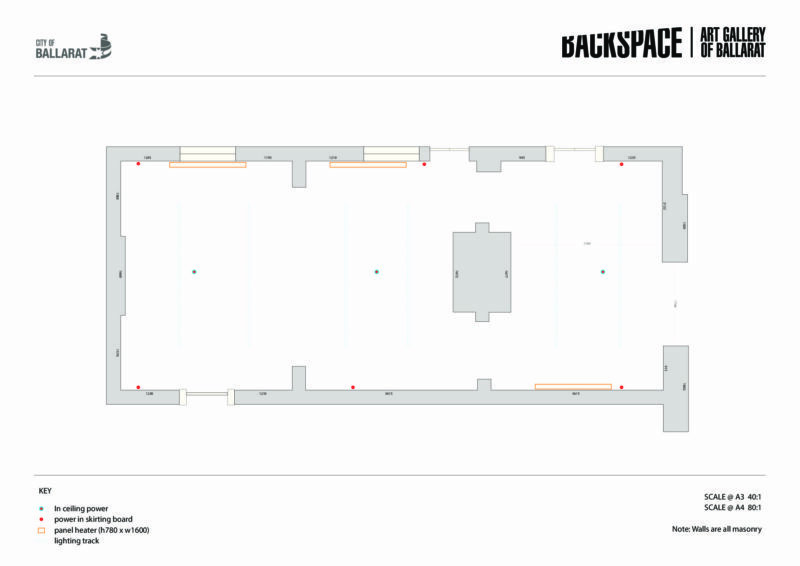 Description of Venue: Backspace supports artists by providing a professionally presented and marketed venue. In addition to the space, exhibitors are provided with digital flyers, publicity support, and basic catering for their opening. There is no hire fee for the space nor commission on sales of work but exhibitors or their representatives are required to sit the exhibition space when it is scheduled to be open to the public. Backspace advertises for exhibition submissions bi-annually; exhibitors are determined by a selection committee on the basis of the quality of the work, its potential to contribute to local creative development, and the balance of the exhibition program. Is the venue open to the public, when and what times? Backspace Gallery is open Thursday – Sunday, 12 pm – 4pm. Backspace Gallery will be closed from 24 December 2018 to 10 January 2019. If the venue is available for hire, how do people hire the space? Contact the Art Gallery of Ballarat at artgal@ballarat.vic.gov.au or call 5320 5858.